In the world of entertainment and show business, David Morse can be rightly described as an all-rounder. In addition to being a highly successful film, TV and stage actor, the multitalented star is also a singer, an occasional director and writer. He first came into the limelight in the 1980s when he played the role of Dr. Jack Morrison in the NBC hit medical series St. Elsewhere. Ever since, he has continued to deliver brilliant performances on the big screen, the small screen and also on stage. The multitalented actor has earned much critical acclaim in his long-running career including multiple Emmy Award nominations, a Tony Award nomination and a Drama Desk Award. 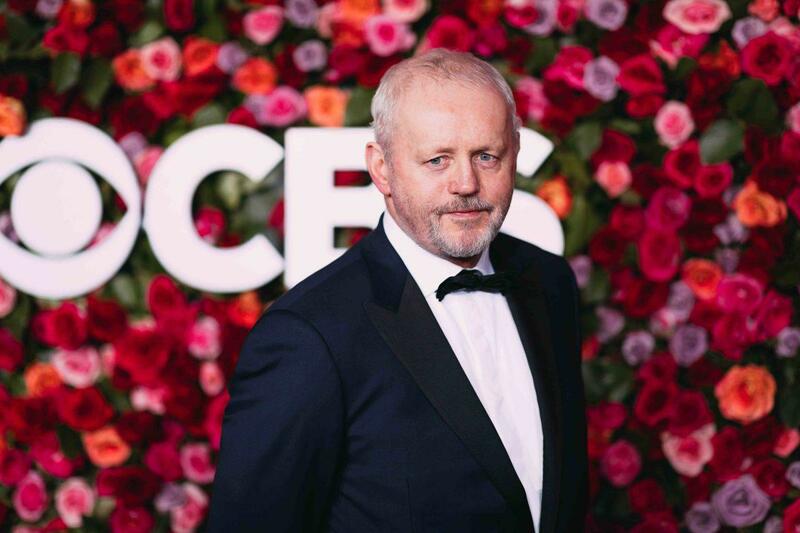 Above all, David Morse has come to be known in recent times for playing the lead role in the drama series Outsiders. David Bowditch Morse was born in Beverly, Massachusetts on the 11th day of October 1953. He grew up in the towns of Essex and Hamilton, both of which are also in Massachusetts. His mother Jacquelyn worked as a school teacher while his father Charles Morse earned his living as a sales manager. He has 3 younger siblings. Morse completed his high school education in 1971 after which he enrolled to study acting at the William Esper Studio in Manhattan, New York. Prior to that, he had started working as a stage actor at the Boston Repertory Theatre where he featured in over 30 productions in the course of 6 years. He remained a part of New York’s theatre community until 1980 when he delved into film and television. Morse’s breakthrough came in the year 1982 when he was cast as a main character Dr. Jack “Boomer” Morrison on the NBC medical series St. Elsewhere. He rendered a brilliant portrayal of the character all through the 6-season run of the series and this endeared him to TV audiences all across the US. He equally starred in a countless number of telefilms and in 1993, he portrayed the character Dave Bell on the short-lived sitcom Big Wave Dave’s. David Morse’s next regular TV role was on the crime series Hack (2002-04) in which he portrayed the lead character, Mike Olshansky. He got his first Emmy Award nomination for his recurring role as Det. Michael Tritter in the medical drama series House (2006-07). His second Emmy nomination came in 2008 for his performance in the miniseries John Adams (2008). Morse was also on the cast of the HBO series Treme (2010–13) starring as series regular Lt. Terry Colson. He was the lead star of the 2-season long series Outsiders (2016-17) and he also had a recurring role on the crime series Blindspot (2017-18). Also in 2018, Morse featured in the highly-acclaimed miniseries Escape at Dannemora. Morse’s work on the big screen is equally as impressive as that of the small screen. He has garnered numerous movie credits in the course of his long-running Hollywood career including 12 Monkeys (1995), Contact (1997), The Green Mile (1999), Dancer in the Dark (2000), Disturbia (2007), Winter in the Blood (2013) and the biopic Concussion (2015). He also had a voice role on the film adaptation of The Gettysburg Address (2019). David Morse equally has many notable stage credits to his name. His portrayal of the character Uncle Peck in the Off-Broadway production of the play How I Learned to Drive (1997-98) earned him the 1997 Drama Desk Award for Outstanding Actor among other accolades. In a similar fashion, Morse got nominated for the 2018 Tony Award for Best Featured Actor in a Play for his performance in the Broadway revival of The Iceman Cometh (2018). It is clear from all indications that David Morse has had quite an illustrious acting career. He has also had his fair share of blockbuster movie roles over the years. With these and other profitable business ventures, the talented Hollywood star has built his net worth to an enviable $3 million. David Morse’s wife of over 3 decades is Susan Wheeler Duff Morse, an actress and writer. The couple got married on June 19, 1982, and have enjoyed a blissful marital union ever since. They have 3 children together; a daughter and 2 sons. Their daughter Eliza Morse is a still photographer. They also have twin sons Benjamin and Samuel Morse.